1 OWNER! 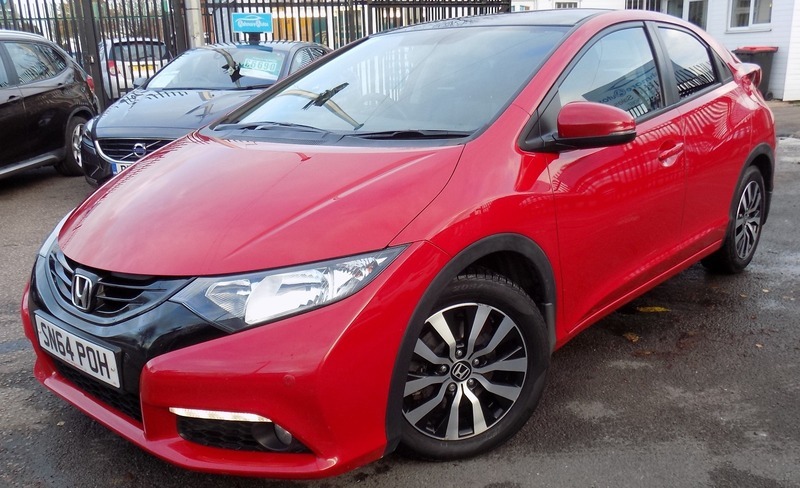 FULL HONDA SERVICE HISTORY, SAT NAV, LEATHER AND PANORAMIC ROOF! ZERO ROAD TAX! Amazing Value 1 owner Civic with Full Honda Main Dealer History (9 Stamps) all done by the original supplying dealer. Fabulous spec including **SAT NAV**PANORAMIC SUNROOF**FULL BLACK LEATHER**HEATED SEATS**REVERSE CAMERA**CLIMATE CONTROL**ALLOYS**CRUISE CONTROL**BLUETOOTH**REAR PARK SENSORS**PRIVACY GLASS**POWERFOLD MIRRORS**REMOTE CENTRAL LOCKING**ELECTRIC WINDOWS** Just been serviced and will come with a new full 12 months MOT. It also comes with a comprehensive mechanical warranty and 12 months AA Roadside Assistance. Please call for any further information about this car.